Glencastle Irish Dancers. Photo by Jack Fennimore. 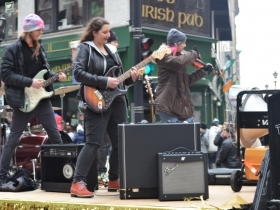 140 different participants, from Irish dance groups to pipe-and-drum corps to local celebrities and politicians, marched in the 53rd annual St. Patrick’s Day Parade, according to the official website. 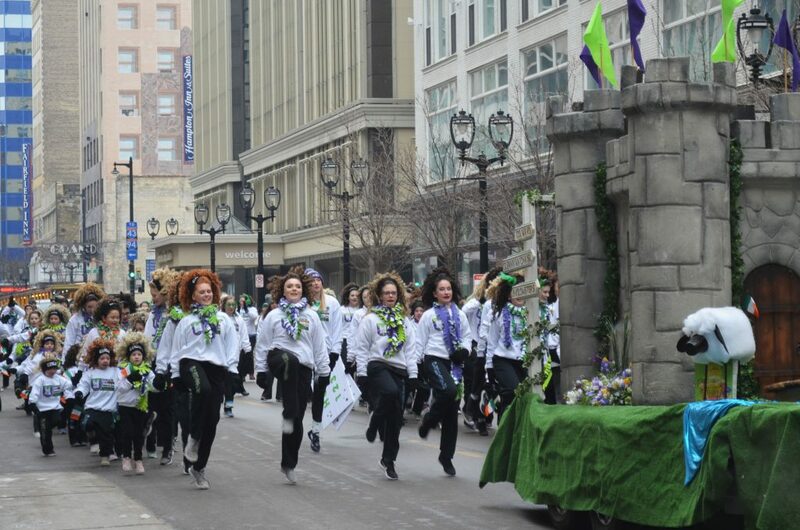 The parade traveled from W. Wisconsin Ave. and N. Old World Third Street to E. Highland Ave. and N. Water St. 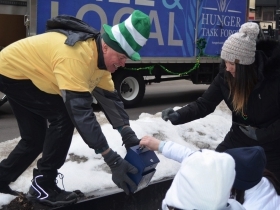 The Hunger Task Force collected non-perishable food items and donations from spectators during the parade. 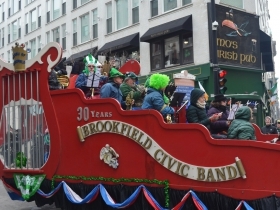 The Irish Cultural & Heritage Center held a post-parade party with live music, dancing and other entertainment. 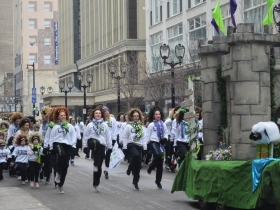 The Shamrock Club of Wisconsin has sponsored the event since 1967, but the first St. Patrick’s Day parade actually dates back to 1843 according to the official website. That’s before Milwaukee formally became a city in 1846 and Wisconsin became a state in 1848. 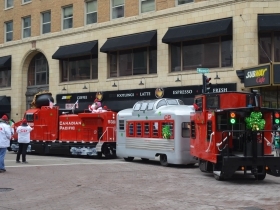 This makes the parade the sixth oldest in the nation. 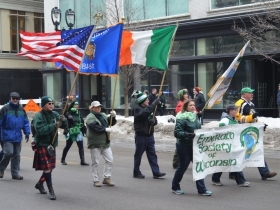 The Shamrock Club has partnered with the Westown Association since 2002. Our photos capture the fun and the wearing of the green.